Springfield PD (8/23/18) - The Pro-Tektor®, Inc.
SPRINGFIELD, Mo. 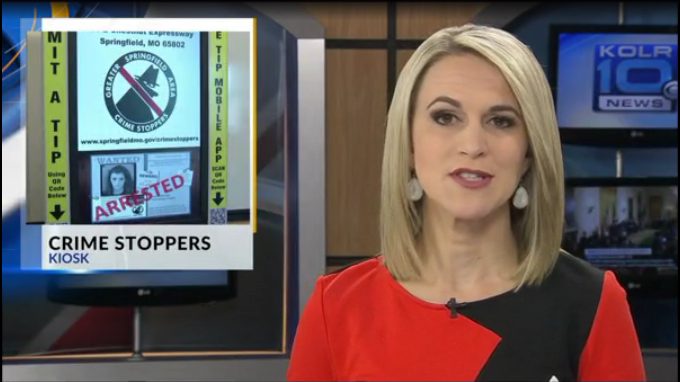 – We’ve been telling you about the new crime stoppers kiosk rolling into a Springfield store, well, they are finally here. The first one made its debut at the Walmart on Kearney Street this morning. They will display amber alerts, wanted fugitive features, arrested posters and SPD recruiting information. The others will be at the Library Station on Kansas Expressway, the library center on Campbell Avenue, and the Walmart on Independence. Cash rewards of up to $1000 are available for tips that directly lead to a felony arrest or seizure of a felony amount of drugs. The kiosks’ location will rotate every six months.